UK, March 20, 2018.- Applications for mobile devices, smartphones and tablets are becoming more essential, both for professionals and consumers as part of everyday working habits. 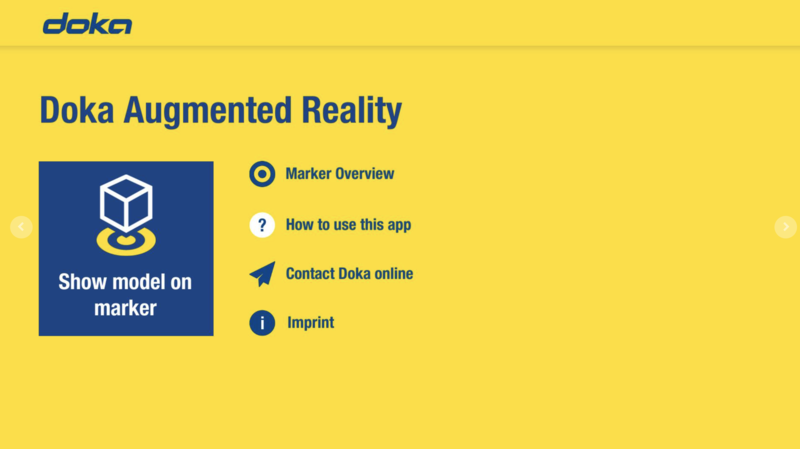 Doka, sensitive to the demands of construction professionals, has just released its first APP on the area of Augmented Reality (AR). This APP joins Doka Tools, another useful tool to support basic formwork requirements. Next, we explain the characteristics of these applications and how the new innovations can support construction professionals in the future. The Doka Augmented Reality app is specifically designed to give the user an immersive experience of defined Doka drawings. With this app you could bring a 2D formwork drawing to life in a very visual and interactive 3D way. The Doka Tools app is a digital calculation tool for your construction site which is designed to eliminate time-consuming, labour-intensive methods of calculating the optimum formwork equipment quantities. 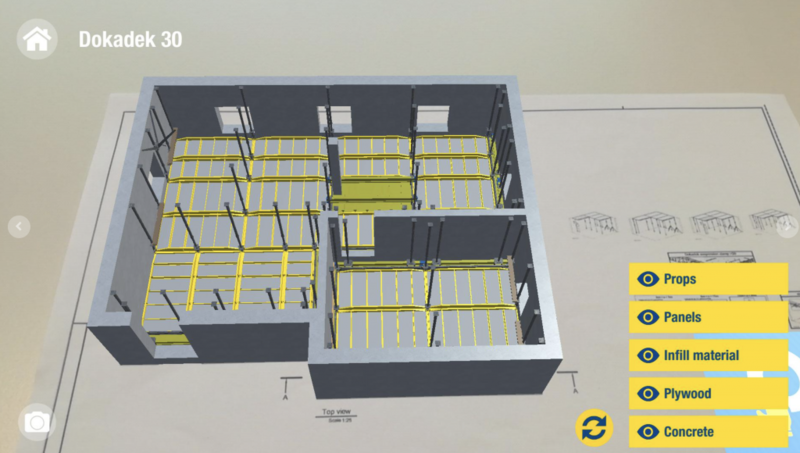 With Doka Tools, available from https://www.doka.com/uk/home/apps/Doka-Tools-App you can plan wall or slab formwork in just a couple of seconds: optimising the components for Dokaflex and calculating the permitted rate of placing as well as the maximum fresh-concrete pressure during pouring. 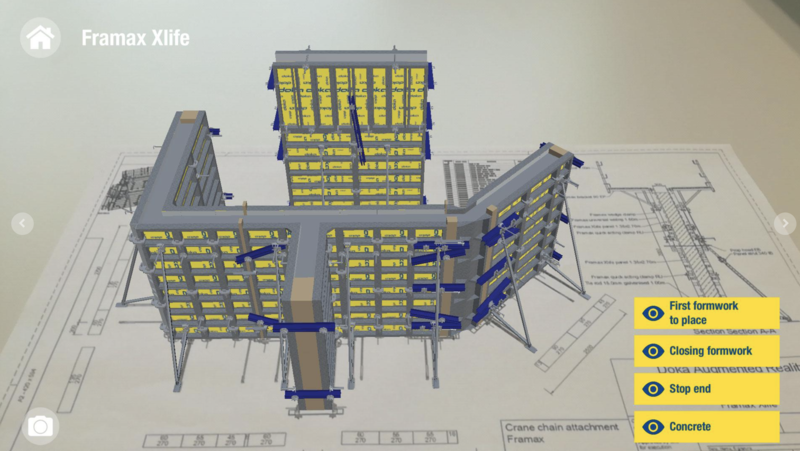 With Tipos wall and Tipos slab planning systems you can form with simple components in no time and quickly get an overview of how to best utilise Doka formwork systems. 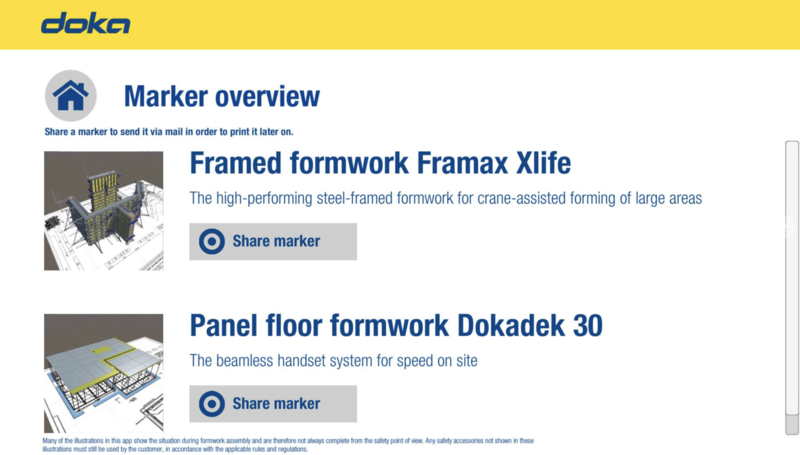 Layout and planning views of your Doka formwork along with the entire component list and design values appear on your display in the blink of an eye. No matter which slab layout you are using, the Dokaflex calculations let you optimise the type and the spacing of the necessary beams and props, in just a few clicks.